Angelique Kerber, of Germany, returns a shot from Naomi Osaka, of Japan, during the first round of the U.S. Open tennis tournament, Tuesday, Aug. 29, 2017, in New York. Angelique Kerber left the U.S. Open last year on top of women's tennis, with a second Grand Slam title and the No. 1 ranking. She leaves this year after one match — unsure of exactly what went wrong during a season-long slump. 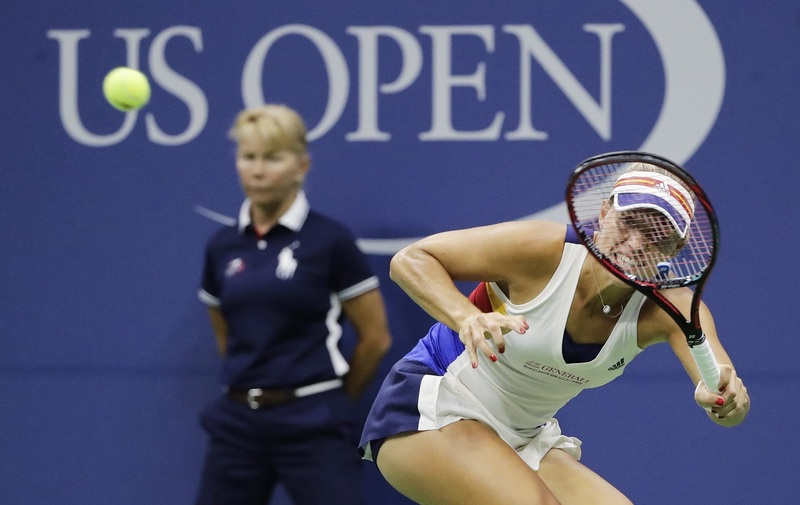 The sixth-seeded German was beaten by Naomi Osaka of Japan 6-3, 6-1, the first defending women's champion eliminated in the first round of the U.S. Open in 12 years. "I think, yeah, it was not my day, completely not my day today," Kerber said. Kerber is also on her way out of the top 10 after losing one of the only completed matches before most of the schedule was washed out on a rainy Tuesday. Not since Svetlana Kuznetsova lost in the first round in 2005 had the defending U.S. Open women's champion been ousted so early. But perhaps it wasn't too surprising after Kerber played so poorly following her breakthrough 2016, when she also won the Australian Open and lost to Serena Williams in the Wimbledon final before ascending to No. 1 with her victory here. This year, she fell in the first round of the French Open, that first time that had ever happened to the women's No. 1 seed in that tournament. She said she had been practicing well and was confident, despite some minor nagging injuries she had bothered her throughout the season. "I'm still the same player and the same person, so I think it's just — yeah, I think it's just the matches and how I played last year from the beginning and how I'm struggling this year," Kerber said. Kerber and Osaka had the stage to themselves after play was suspended on all courts other than Arthur Ashe Stadium, which has a retractable roof that was closed midway through No. 1 Karolina Pliskova's 6-2, 6-1 victory over Magda Linette of Poland. Kerber then took the same court where she beat Pliskova for the title last year and took another stinging defeat. The left-hander fell to 25-18 with no titles in 2017. She needed to make it to at least the round of 16 to stay in the top 10 and couldn't get close. She had been in the top 10 since Oct. 5, 2015, a run that would total 101 weeks before she falls out. With No. 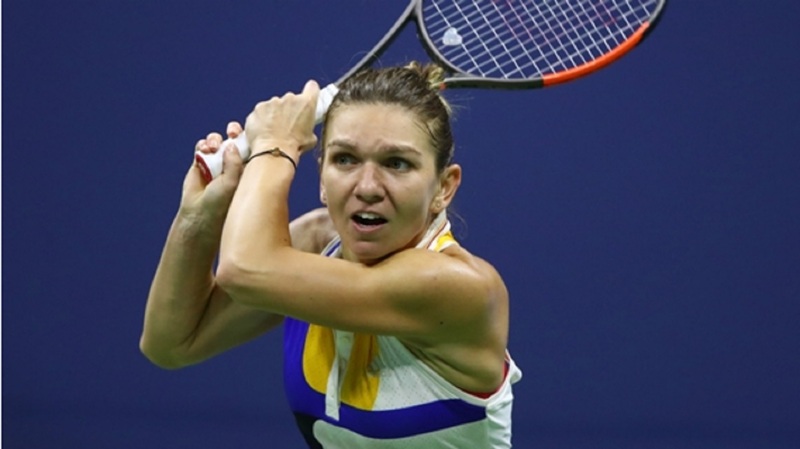 2 Simona Halep's loss to Maria Sharapova on Monday night and seventh-seeded Johanna Konta also falling, three of the top-seven seeds on the women's side were gone by the mid-day Tuesday — with Williams not playing because she's pregnant. Osaka broke for a 5-3 lead in the first set, then seized control when she broke twice in the second set to open a 4-1 cushion. She finished off the 65-minute victory when Kerber dumped a forehand into the net on match point before quickly departing for the locker room. It was Osaka's first victory over a top-10 opponent after she was oh-so-close to beating a top player here last year, blowing a 5-1 lead in the third set and losing to Madison Keys in the third round. "I just want to play good," Osaka said. "I played good today, so I want to carry that on to my next match." Rafael Nadal was next up on Ashe, the only place there was any action at the year's final Grand Slam. Light rain began falling earlier Tuesday, and though play was able to continue for some time in between the umbrellas that popped up, it was eventually suspended and players were sent back to the locker room and all but one of the non-Ashe matches that were in progress or still to be played were scrapped. No. 23 Barbora Strycova, Pliskova's Czech countrymate, also advanced with a 6-1, 6-3 victory over Japan's Misaki Doi, while No. 28 Lesia Tsurenko of Ukraine was upset by Yanina Wickmayer of Belgium, 6-3, 6-1. Roger Federer was to play his opening-round match against young American Frances Tiafoe at night, following No. 15 Keys' match against Belgium's Elise Mertens.